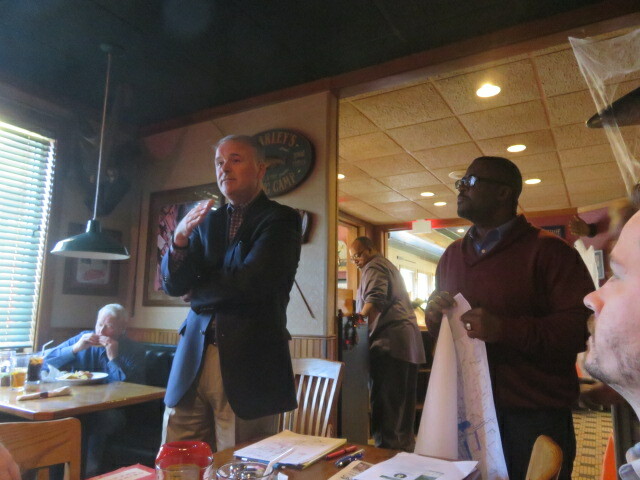 DPW Director Dan Parker recently was the speaker at the 40 West Business Association Meeting. He talked about improvements and road work that will be done in Wayne Township. Steve Hardiman, who is with DPW, is holding a map that showed where these projects will be. 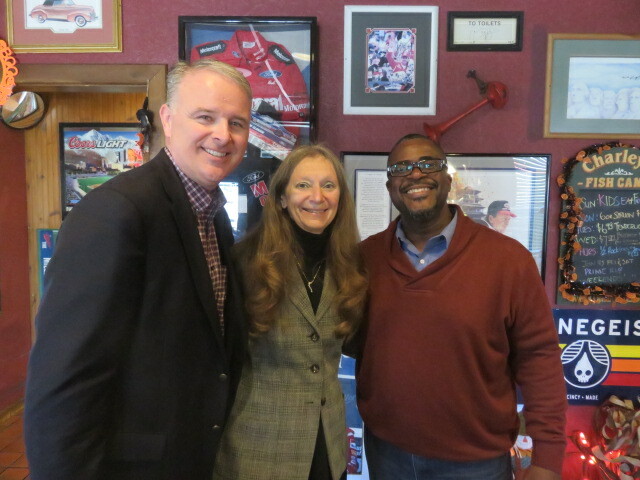 Dan Parker, Janice McHenry, and Steve Hardiman have a big smile for the camera.